Company admits that the series has strayed recently and explains how Rainbow Six: Vegas will fix that. Ding Chavez is gone and many Rainbow Six fans won't miss him. 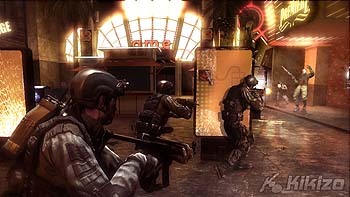 The star of the previous games in Ubisoft's shooter series lead the crack team on dozens of thrilling missions, but a lot of people felt that the series started to stray from its roots by the time it got to last year's Rainbow Six: Lockdown. Ubisoft is making sure that won't happen again. Like a parent who refuses to choose one of his children, Jason Arsenault, level design director at Ubisoft, can't finger a particular game, but he acknowledges that things had to change. 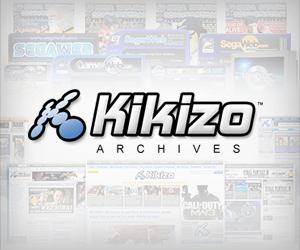 "From previous Rainbow games there was possibly a whole issue with everybody saying that they felt the franchise was heading in an arcade style," Arsenault told Kikizo recently. "One of the things we basically don't want to do with the franchise is continue along that path. We want to bring it back to tactical realism, bring it back to being one shot, one kill, have that entire feeling of tension come back when you're playing Rainbow Six again." Rainbow Six: Vegas is Ubisoft's attempt at bringing the successful franchise to the next generation, and that means jettisoning past characters and stories that flit between international locations yet still seem to go nowhere. "All the characters from previous Rainbow games are gone. We're stuck with Logan, Michael and Jung. There are the three characters we want to develop for next-gen platforms. We want to have the story be character driven." That story, handled by a dedicated scriptwriter distantly attached to novelist Tom Clancy, takes place mainly in decadent Las Vegas, where the action hits not only casinos but also The Strip itself. Don't look for an exact replica of Sin City though. Ubisoft did not actually recreate the casinos that dot the infamous Strip, probably because casino owners weren't down with their hotels being ripped apart by terrorists. "We used it much more for reference than anything else," says Arsenault. The renewed focus of the game also puts emphasis back on how you play the game. In other first-person shooters, you can run in and shoot anything that moves. Not here. In Rainbow Six: Vegas you'll need to take a more deliberate approach. "We're trying to balance the game to the point where if you play alone, if you try to be gung ho, it's going to be extremely difficult," says Arsenault. "People that buy the game have to realize that they're buying a tactical shooter, and they're going to have to play tactically with their team. If they don't want to play with team AI, they're going to have a little bit of a harder time getting through the levels." You can find out if you're up to the challenge right now. Rainbow Six: Vegas is out for PC and Xbox 360 and should be coming to PlayStation 3 next year. For more on the game, check out the full video interview and our recent review.